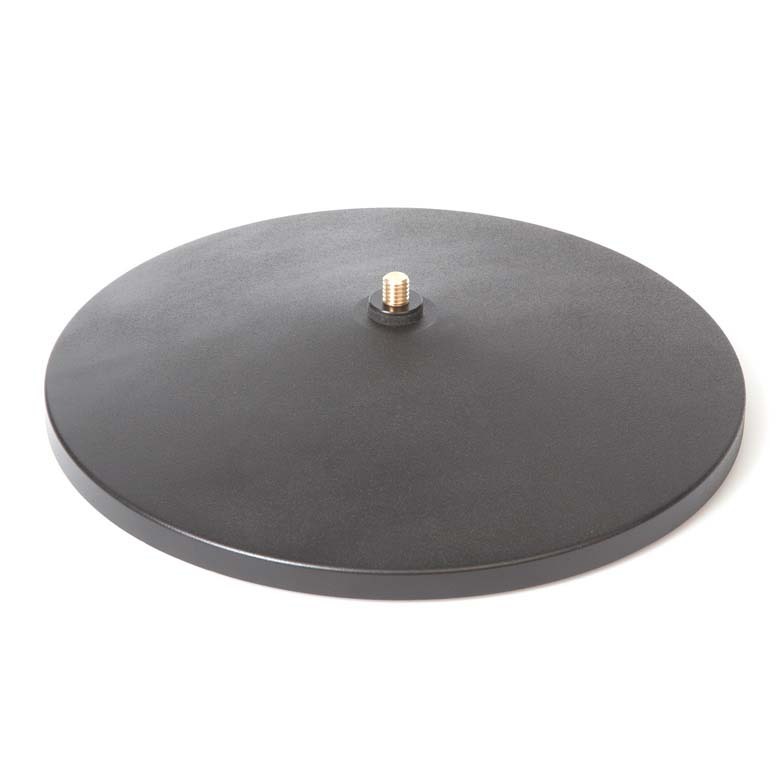 Ø250 mm (9.8 in) floor base with a strong powder-painted matte black surface. It has three rubber feet, which ensures stable placement of the microphone stand on any surface. The DUA0250 Floor Base has an integrated shock-mount solution: the thread screw holding the Stand Extension and Active Boom Pole. This unique design allows for a long-stage microphone boom pole that does not swing, but rapidly stabilizes itself after being positioned. The DUA0250 Floor Base is part of the elegant and flexible d:dicate™ Series of floor stands. It is supplied as standard with d:sign Floorstand Microphone.